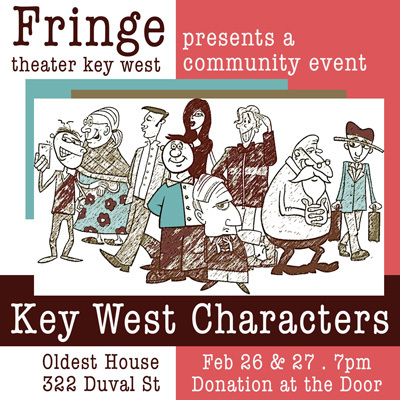 Key West Characters is a collection of original short plays that feature the famous, infamous, and would-be quirky characters of our little island community. Ten directors and countless actors band together to present 10 short plays in the parklike setting of the backyard of the Oldest House. Doors open at 6:30 pm. Show starts at 7:00 pm. Donation suggested at the door. Old Island Restoration Foundation is a 501(C)3 nonprofit organization. Our mission is to “celebrate and sustain Key West’s unique architecture, culture and history.